Welcome to the Best Western Plus Houma Inn! Guests at our Houma, Louisiana hotel are close to everything Louisiana has to offer, from an incredible plantation home tour to a swamp tour. Steubenville on the Bayou is hosted in Houma and Best Western Plus is ready for your group! Conveniently situated between Houma and Thibodaux, Louisiana, our hotel combines southern hospitality with an unbeatable location. Enjoy a great rate, friendly service and top notch accommodations when you stay with us. Those visiting for offshore marine training will be happy to find The Marine Training Institute and Safezone nearby! Museums and galleries are abundant near our Houma, Louisiana hotel, which makes it easy for travelers to fill up their itinerary. Visit the nearby plantation homes for a touch of history and culture on your trip. No matter what kind of vacation you have in mind, you can rest assured it is possible. Our hotel is located at the intersection of Highway 90 & Highway 24, just 45 minutes from the New Orleans airport. Guests can easily travel to the airport or anywhere else in Louisiana with access to highways that extend throughout the state. Guests at this hotel enjoy complimentary beer during our happy hour from 6 p.m. to 8 p.m. We also offer a complimentary hot breakfast buffet daily featuring pastries, French toast, muffins, fruits, eggs, breakfast meats, and cereal. Yogurts and other breakfast staples are on hand along with 100% Arabica coffee and juice. 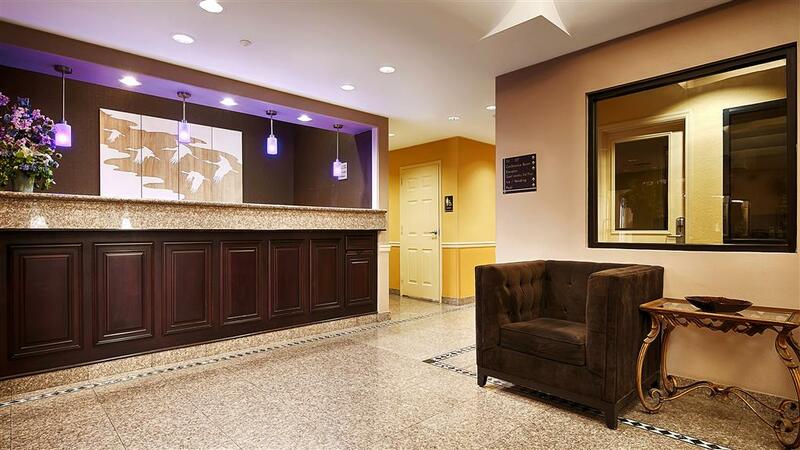 Business travelers to our area adore our hotel, and we are happy to accommodate. We welcome employees of Danos, Blackhawk, BP, and Halliburton among several other oilfield companies. A great location is important when you are here for business. Fly fishing - 40.00 mile(s) from Cocodrie Fishing, World Fishing Network's Ultimate Fishing Town Contest named Cocodrie one of the best. Year round fly fishing, deep-sea fishing, swamp fishing and inland fishing is available. From: Highway 90. Drive west from New Orleans to Houma and exit on Highway 24 Exit 202. Stay right on the service road. The Best Western Plus Houma Inn is located next to the Burger King and behind Waffle House. Nicholls State University,10.00 mile(s) from Nicholls State University, offers graduate and undergraduate degrees as well as non-degree and certification programs. Manning Passing Academy is also held on campus. Chauvin Sculpture Garden,25.00 mile(s) from Chauvin Sculpture Garden, One of the Top 10 Sculpture Gardens in the world!